The New York Yankees are going to presumably be looking for major upgrades in the starting rotation after a tremendous 100-win 2018 season that saw their lineup put up historic numbers. One such addition could actually come in the form of a subtraction. 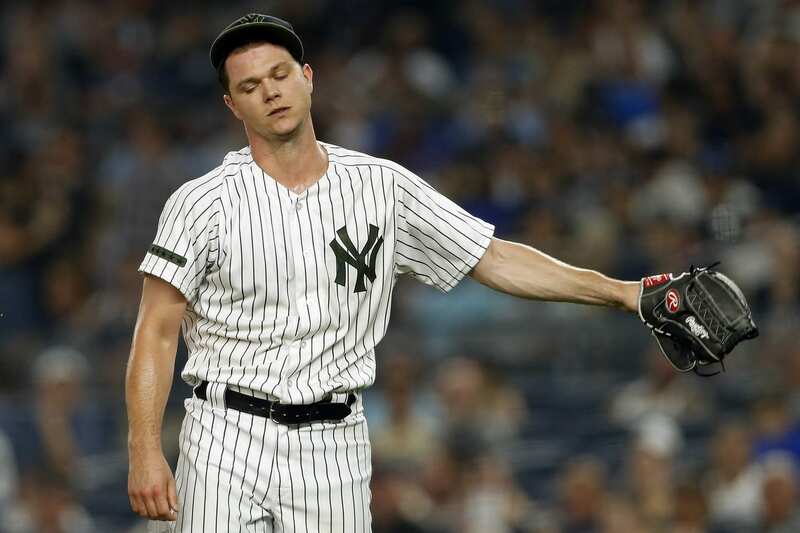 After struggling big time with the Yanks during the regular season, former All-Star Sonny Gray saw zero action in the playoffs. This is a clear indication that the soon-to-be 29-year-old starter will be traded during the winter. Yankees general manager Brian Cashman all but confirmed this by noting that “a lot of teams” are interested in the embattled veteran starter. Cashman said he has “ a lot of teams” interested in Sonny Gray. These comments come ahead of the general manager meetings in Southern California later this week. They also come just a few weeks after Cashman himself admitted that Gray would in fact be on the block. An All-Star with the Oakland Athletics back in 2015, Gray pitched to an 11-9 record with a 4.90 ERA and 1.50 WHIP in 30 appearances (23 starts) this past season. His biggest struggles came at Yankee Stadium, where Gray put up a 6.98 ERA in 15 appearances. Gray earned $6.5 million this past season and is arbitration eligible before hitting free agency following the 2019 campaign. The finances work in favor of New York finding fair-market value for the veteran.